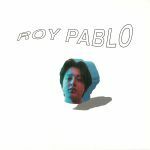 Review: To celebrate this year's Record Store Day jamboree, Scandolearic pop sort Kai Gundelach decided to get a couple of his tracks remixed. The results are rather impressive. 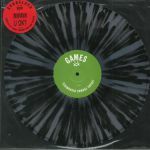 On the A-side, fellow Norwegian Prins Thomas gives his interpretation of recent Baltus album track "Games", effortlessly joining the dots between breezy, sun-kissed pop, glassy-eyed Balearic and rubbery dub disco. On the reverse, Studio band member Dan Lissvik provides his spin on 2017 single "Garden". His take veers closer to shimmering, synthesizer-fuelled dream pop, with Gundleach's heart-aching vocals and jazzy guitar solos rising above a suitably warm, baggy and loved-up backing track.